Role: Manager of Reception and Golf Shop at Scarthingwell Golf Course. Info: Throughout my working career I have always been customer facing, previously leaving school and starting my career with a customer facing apprenticeship, leaving with a high level qualification. 2 years ago I started working on reception for Hitachi Capital while at the same time growing my own beauty business. 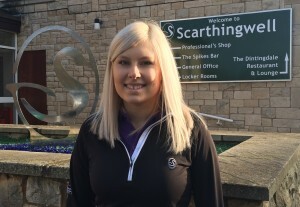 I am looking forward to growing my golf knowledge and experience whilst at Scarthingwell. Likes: Socialising, helping other, holidays and driving. Info: Having worked upstairs in the Dintingdale Restaurant for two years, I have now joined the Golf Shop and Reception area. It’s an exciting change and whilst you will still see me serving food and drinks in the bar, the golf shop offers a different challenge. I’m looking forward to developing my skills before hopefully going to university. P.S I’m Ellie’s spider catcher. Likes: Travelling, exploring, dancing, helping others and rugby league. 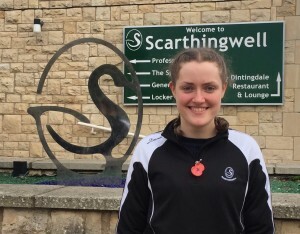 Info: I am a junior member here at Scarthingwell and past Junior Captain. 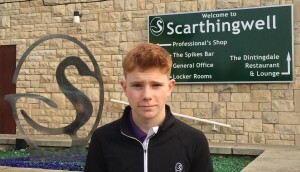 I also play for the junior team going to different courses and representing Scarthingwell. I have been playing at Scarthingwell now for almost 7 years and am now looking forward to giving something back to the club. I am currently studying and working hard at University with the hope to return to Scarthingwell in the holidays. Likes: Golf, football, photography, helping others. Dislikes: school, early mornings, the cold.